Time to show up in the new year with Saucony and Fleet Feet. 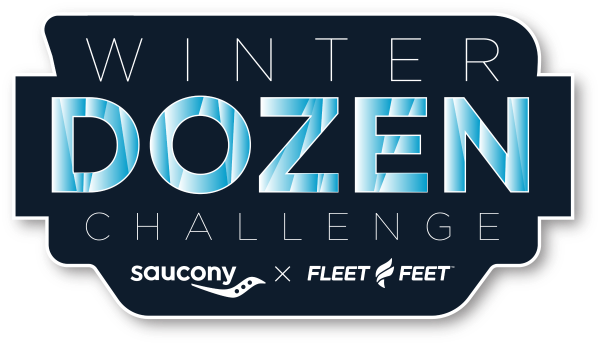 Beginning January 1, Saucony and Fleet Feet will host the Winter Dozen Challenge, an effort meant to combat the gloomiest time of year with the power of running, healthy habits, and social connection. Join our nationwide, online community of runners, and log 12 run or walks of at least one mile throughout January on our challenge app, which syncs with Garmin, Strava, and other top-ranked mileage trackers. Find a trail, hit the treadmill, or pound the pavement—every surface counts. February 2-11, we’ll reward our challenge conquerors (who will receive email notification by February 2) with some inspiration to keep those healthy habits going—their very own 2019 running calendar and a Winter Dozen Champion magnet, all available for pick-up at your local Fleet Feet location. You've got the rundown; Now sign up and show up on Jan. 1. Post your progress with #winterdozenchallenge @fleetfeet @saucony for the chance to win some sweet prizes!